It’s said necessity is the mother of invention and that was just the case when a search for personalised letters turned up nothing suitable for a nursery. From there, this dynamic best-friend duo set about creating a gorgeous line up of the alphabet in fun colours, perfect for spelling out what you want to say in a clever, artsy way. We give you Alphabet Art! 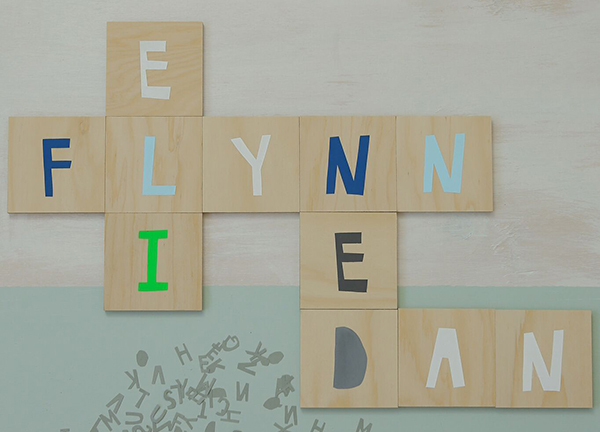 Alphabet Art gives you all the letters you need to spell what you want to say – be it a name, a phrase, a birthdate – anything your vocabulary and heart desire, in a ridiculously cute manner. Plywood tiles are 12cm square and beautifully screen-printed in ten rich, bright colours and you can choose from letters, numbers and even symbols. 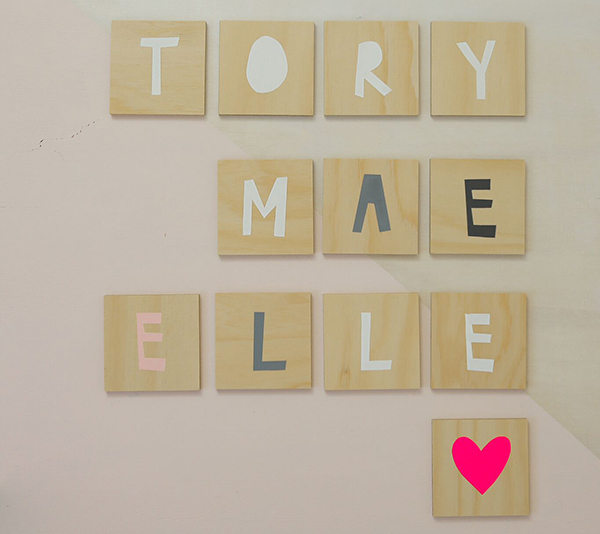 Alphabet Art make for a gorgeous new baby gift and make a darling, quirky addition to a shelf display. Priced $12 per character, or invest in an alphabet for $280, you can order direct from Amber and Me.